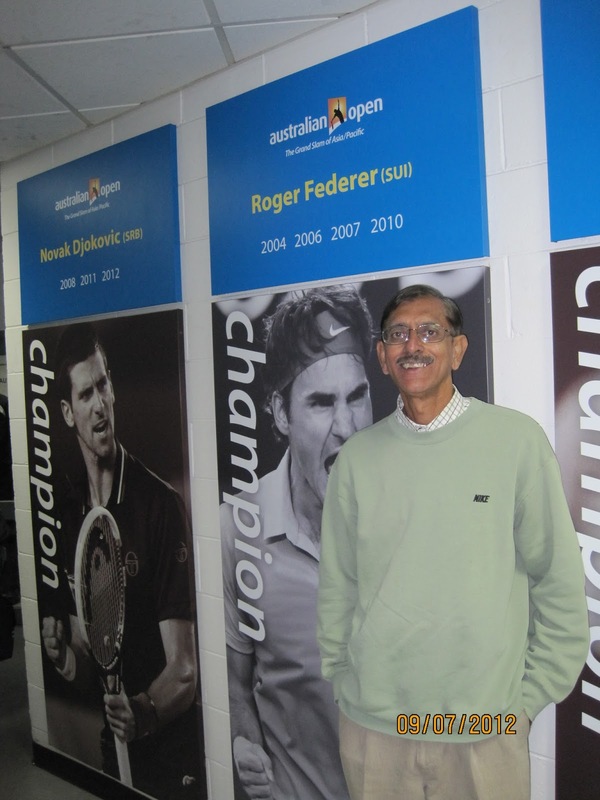 This past weekend the tennis community lost Ajay Patel, a great tennis player and an even better man. He will be sorely missed by his family and the entire tennis community. Ajay will always hold a special place in my heart as his ability to compete and compete well at an advanced age was spectacular. He was a man of great integrity and loyalty. Tennis League Network will be forever blessed to have his name inscribed on multiple record pages. The legacy wins page is hereafter renamed Ajay Patel Legacy Wins Page. The admin of this program had the pleasure of meeting him twice over the years. (Once at the 2011 East Coast National Tournament in Miami and last time in 2014 at a Los Angeles West Coast National Tournament. He won that tournament in dramatic fashion https://www.tennislosangeles.com/3172/tournament_report ). His passion for tennis was inspiring and will always leave a mark on this community. Ajay the tennis courts are going to be a bit more lonely without you. I always described Ajay to people who did not know him as a tennis "savant". No one could anticipate where you would hit the ball better than Ajay. No one could use the angles of a tennis court with more effectiveness. He was a savant at architecting a point using his combination of consistency, creativity and athleticism. On big points he could always place his serve in the perfect spot to make sure he won the point. No one was more frustrating to play or more satisfying to beat (rare as that was). In our last match at Lower Peters (court 7 always) we had one of the most amazing points I have played in my life. It was a 15 ball rally before I finally got the advantage and was at the net....Ajay lobbed me but I was ready and hit a clean smash overhead....Ajay anticipated where I would hit it (I never figured out how he could do that) and hit me another classic Ajay lob that landed on the baseline. I was able to run back and another 15 ball rally ensued before the point finally ended. To our surprise there were 4 people that had stopped to watch this point and were clapping for us. It was our final point we ever played. Will miss the local legend Ajay and it was my pleasure to share a tennis court with him. I was one of the few who took a few matches away from Ajay. We was the Roger Federer of OCTennis league, smooth and sharp. A great competitor, gentle spirit and humble person….he will be missed. So so sad and sudden. I played tennis with AJ almost 10 years, he always played with amazing enthusiasm. Caring Dad who talked about his family and was a thoughtful and giving player on the court. Ajay was one of the kindest tennis players that I had the good fortune of meeting. We started playing in the league back in 2009 and always held a special place in my mind and heart. He left quite a legacy with us as he pulled everybody’s game up and encouraged us (by example) to play more frequently. Ajay was the definition of a true champion, his character and always happy demeanor was as true on the court as off of it. 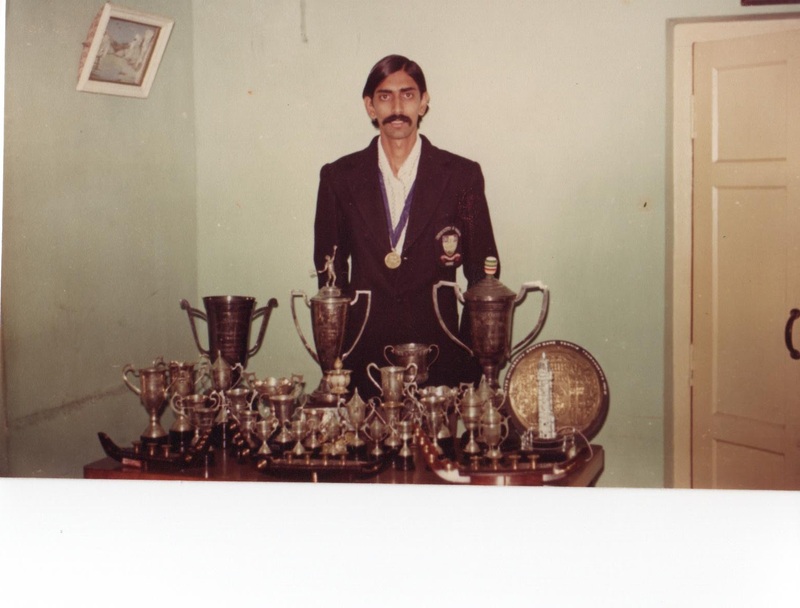 Ajay's exceptional game was a genuine credit to his approach of tennis, not as a hobby, but a lifestyle choice. This is also why so many of us in our time playing in TennisOC, knew when it came time to play AJay, the epic record holder, "3-peat Player of The Year, First-ever West Coast Year End Men's Elite Champion, Infinite Legacy Match Winner, once you get passed those intimidating statistics realized why he had achieved them. However, his truly exceptional personality made losing to him the most fun and positive experience losing can possibly have, even for the most competitive of players--- everyone knows its fun to play AJay, regardless of knowing, the more likely outcome that he would prevail. 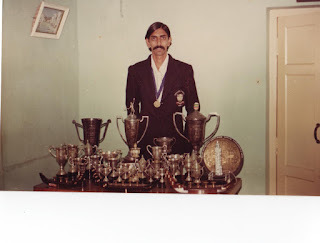 His love of the game is apparent when reviewing his career statistics and record in TennisOC, but what is not shown is how many lives he touched through playing tennis and how his experience and years of playing also taught us players something new and never seen before they played him and aimed to improve do it the "Ajay Way!" On a personal note, I will never play an TennisOC or West Coast Year End Tournament without smiling and thinking of Ajay and his positive spirit and love of the game and appreciate just getting to play every chance we get as he did! Thank you for always bringing such light and joy to the game we all love beyond what would call a hobby-- you will be missed. When I first moved out to southern California and competed in my first tournament, I did not make the finals but watched the match and observed the beautiful serve and volley net game of Ajay that made him take the title. Though I did not get to play Ajay in the finals in that tournament, I was very impressed with his game style and would hope someday we would cross paths to play. Sure enough when I joined the local tennisoc league Ajay was the first person to contact me to play a match. Making my first drive through southern orange county to play him in Irvine started a rivalry of numerous matches of us battling back and forth. It was always fun and exciting to step on the court with Ajay and I will always remember the great matches we had. He always pushed me to play my best and if I wasnt playing my best he wouldnt hesistate to make me pay dearly. During our matches we had our fair share of of grueling long rallies, but after the point was over he was already standing on the baseline ready to play the next point. That always got me thinking to myself "man for an old guy he is VERY fit". I can only hope at his age I will be able to compete at singles the level he was able to. If I didnt play Ajay as much as I did I would not have made the decision to live in Irvine in order to stay close to the strong tennis community it has. So you can say that Ajay was the link of starting my new life in California and the place I chose to call home today in Irvine. I only hope when I grow older I will still have the drive, commitment and passion for the sport like he did. We certainly lost a valuable member in the tennis community and he will be missed greatly. I'll never forget playing Ajay. He always made playing tennis look easy - almost too easy! He was graceful on the court and was in command most of the time. He was a humble guy and always gave me good advice to get better. He's the only guy I've ever played that would hit my out balls on purpose to keep rallies going and give me more of a chance to win - who does that! He will be sorely missed. I have had the good fortune to play Ajay many times during the last few years. He always was a true gentleman and a great sportsman. He embodied the "old school" sportsmanship, and his love of tennis and good competition was evident. I am shocked that he is not with us anymore, and he will be missed. Pratyaydipta Rudra - Getting out on the tennis courts 2 to 3 days a week. We caught up with Pratyaydipta Rudra who plays out the Denver franchise. I'm a part of Metro Denver Tennis League Currently I am playing as Men's Advanced 4.0 in the 2016 Fall Season Advanced Division. 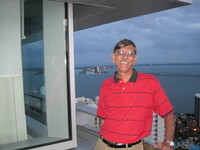 I was born in India and completed my undergraduate studies there. I moved to USA for my graduate studies. Right now I am a post doctoral fellow in the department of bio-statistics, CU Denver. Besides tennis, I am most passionate about photography and wildlife-watching. I joined this league in September 2015. I have now played pretty regularly for about a year. Pratyaydipta has already played an amazing 43 matches in just over a year's time. I moved to Denver last year and was looking for some hitting partners. It's not easy to find players and tennis friends when you move to a new place. So, I was really pleased when I found out about Tennis League Network, basically through internet search. During the season, I usually play 2-3 matches with TennisDenver every week. I sometimes play more tennis outside the organization. The best part is the flexible scheduling. My work is variable and it's tough for me to play at a fixed time. It's great that me and my opponent can work out the best time for both of us. Also, the user-interface in the website is something I love. It's easy to join leagues, report scores and look at records of other players. The prize pool is a bonus. I love how the league gives extra incentive to play more and win. I remember a match against Joaquin Tejeda. It was a ladder match, but kind of important in the sense that it determined who goes to the top of the ladder that month. I lost the first set 5-7 and won the second 6-2. In the beginning of the third set, I suddenly lost focus. He was quickly up 4-0. Somehow I regrouped and won the set 6-4. I enjoyed the comeback and the long but high quality tennis match. Joaquin Tejeda is someone with whom I have played several matches and like playing against him. He is about my level and a good sportsman. We had some very competitive matches in the past. Mike Runda is another one who is a good person and a good player. It's interesting how I met so many players who live very close to where I live. They are all close to my level, so I enjoy playing with them. But for TennisDenver, I would have never known them. It's a great way to meet fellow tennis players and make new friends. I always wanted to play tennis when I was a kid. I watched a lot of tennis in TV. But I come from India where there is not much cheap option for recreational tennis. 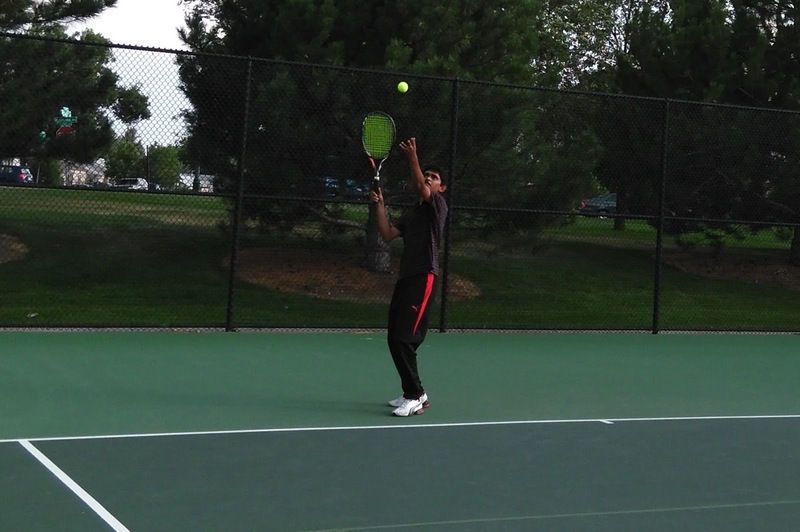 When I came to United States for my studies, I grabbed the opportunity and started playing tennis. I am now playing regularly for about four years. I think I am 4.0, but on the lower side. I considered myself a strong 3.5 up until last year, but I win most of the time against 3.5 players and so TennisDenver rated me as a 4.0. I love any racket sport, and tennis has the most variety among all racket sports, I believe. The serve, the volley, and the ground-strokes, anything can be your weapon. It's great exercise but does not involve body contact, which is good for a under-weight person like me. The best part is probably the importance of timing and the sweet feeling on your racket when you time it perfectly. Plus, I like the scoring system which gives me enough opportunity to come back. One bad game, I can always forget that and try to do better in the next. Same goes with a bad set. Roger Federer, by far. He is the artist. I love his effortless yet exceptionally accurate play. He is never boring because he has such a variety in his shots.